You must make reservations at least 5 minutes in advance of the time at Bogie's Place. We provide validation for a discount at the Lafayette Garage is just around the corner from us. This exclusive steak house is a quiet reprieve from the hustle & bustle of Downtown Crossing and the raucous jm Cruley in which it is hidden. To find this 16 seat eatery enter at jm Curley, strut to the back of the bar room & duck behind the red velvet curtain above which a sign proclaims " Adults Only- no cell phone use" While jm Curley is large, loud and casual, Bogie's is a civilized & rarefied dining room that feels like a private club. Expect sumptuous booths, jazz and gracious service. Bogie's is the anti-steak house. Chef Anita avoids most of the usual tropes, instead opting for nightly improvisations around the "Bogie's Seven"- ever changing interpretations of dishes like foie gras, caviar, potato, wedge and of course beef. The beverage program by Domingo Barreres is as contrarian as the food. The wine list has about 20 red & 20 white, the beer list is enormous and compelling, and the cocktails focus on perfecting drinks like the French 75, Remember the Maine and the Sazerac. Bogie's place was an amazing venue for a wonderful date night. We had the privilege of sitting at the bar for some fantastic service and entertainment. Our food was out of this world. I would absolutely recommend Bogie's place for intimate fine dining. Our server Manny was amazing & as always, Bogies Place did not disappoint! New York sirloin not worth $48! It was our 18th anniversary dinner and, it was awesome. Try some different cocktails like the one with rye. The table-side preparations/performance is something not to be missed. The 12oz NY strip could have been better as it was a lite grizzled but, the taste was great. Ww can't wait to go again!!!! Best steakhouse in New England! Domingo is an amazing host! Best drinks ever! 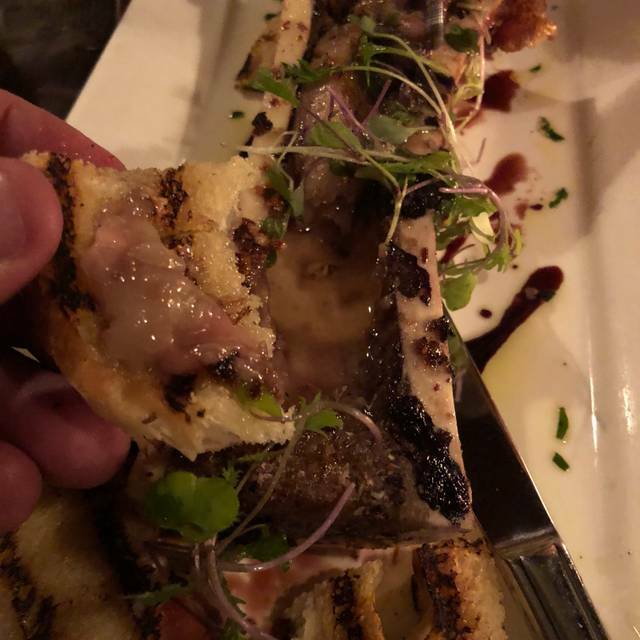 We always have a great experience and the food is amazing! Great atmosphere! 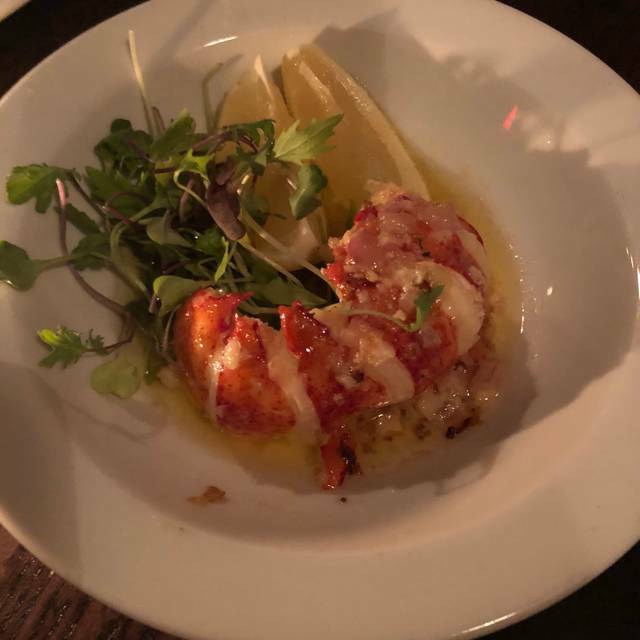 We spent the weekend in Boston, visiting from Philadelphia and Bogie's was the highlight of our dining experience. My girlfriend ordered the filet and said it was cooked perfectly to medium rare, I enjoyed the tomahawk which was incredible. The vest part of our evening had to be Manny. He was was fantastic, and the service exceeded our expectations. He treated us like old friends and we can not wait to come back! An absolute experience!! Ensure you have plenty of time to truly enjoy the evening. Do not rush yourself with plans afterwards! Always a pleasure, one of my favorite places to go. My husband and I truly had a great experience at Bogie’s Place. We got one of their signature cocktail drinks and the waiter/bartender came over and made them on a cart in front of our table. We got the old fashion and he smoked it and lit a flame to it. It was delicious! I had the special for an appetizer which was a potato soup which had a little kick to it and was so flavorful. 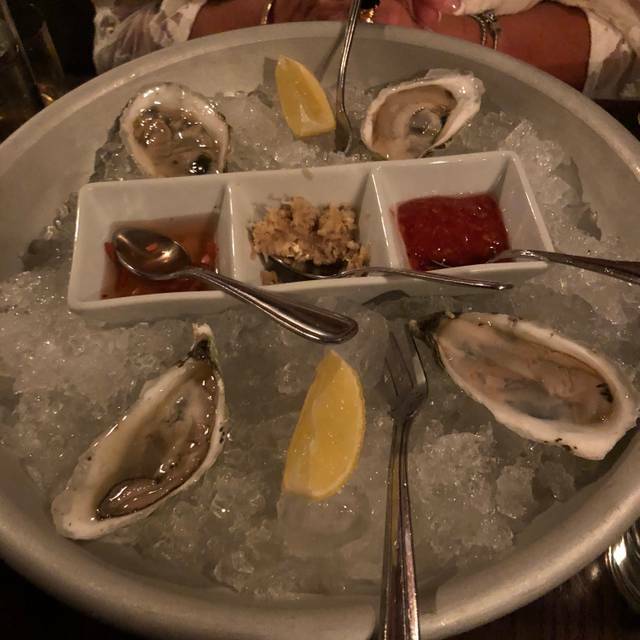 My husband got the oyster which were from Duxbury and he said they were nice and sweet. 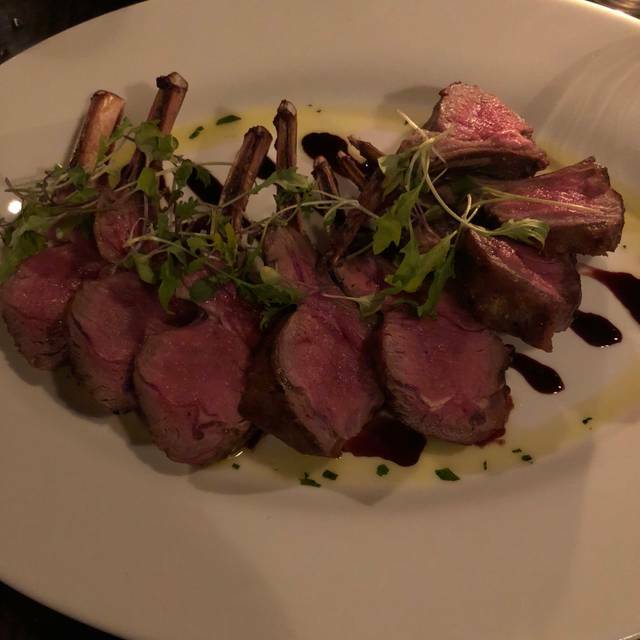 Our entree was filet and a rack of lamb. Our sides were the Brussels sprouts and sauté mushrooms. The meal was delicious! Could not fit in desserts. We were completely full. Highly recommend this place. It’s truly an experience. You need reservations because it only holds about 20 people. Can’t wait to go back and take some friends with us. Great place. Food was amazing and the service was even better. Will definitely return! This is a gem of a place we just discovered for a delayed Valentine’s Day dinner. Excellent food and service in a small intimate space. I had PEI mussels in a broth that was delicious without being overpowering, followed by rack of lamb that was cooked medium, exactly as I like it. My husband had tomato bisque soup and the filet mignon cooked medium. We also had sides of Brussels sprouts and mushrooms. Everything was really tasty and memorable. Our server Manny provided great service, coming by at the right time, never interrupting. We’ll definitely go back again. Great ambience and the fact it was reservations only made the experience that much more exclusive. Such a quiet, hidden gem in the back of JM Curley's. I would absolutely return. Group of 4 of us at the largest (4 person) table in the place as only 5 tables we counted and 2 bar stools. Service amazing, food outstanding! Could spend an entire evening here and they wouldn't rush you. We had 6pm reservation, told them we had 8pm show and no problem at all. The Tomahawk steak was amazing! This was your second time to Bogie’s Place. 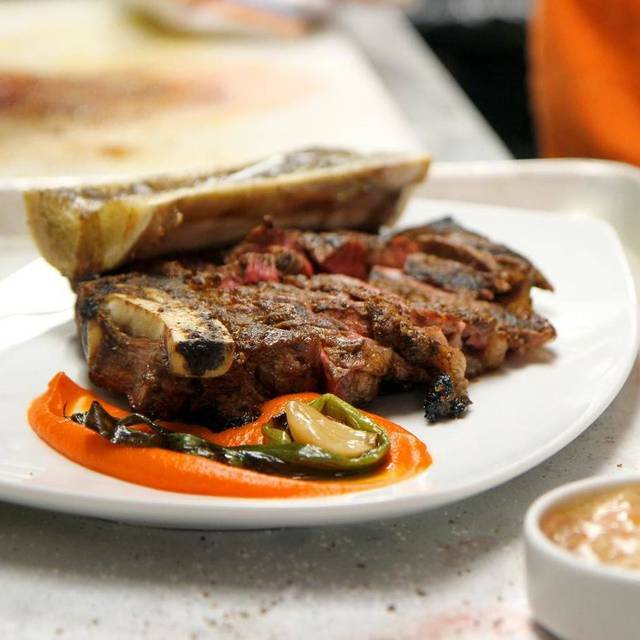 We love the idea of the place - a small “speak easy” steak place tucked behind the bar. We love the specialty drinks, the service is fine and the side dishes (Brussels Sprouts and truffle fries) and biscuits were all excellent. My only beef is, well, the beef. 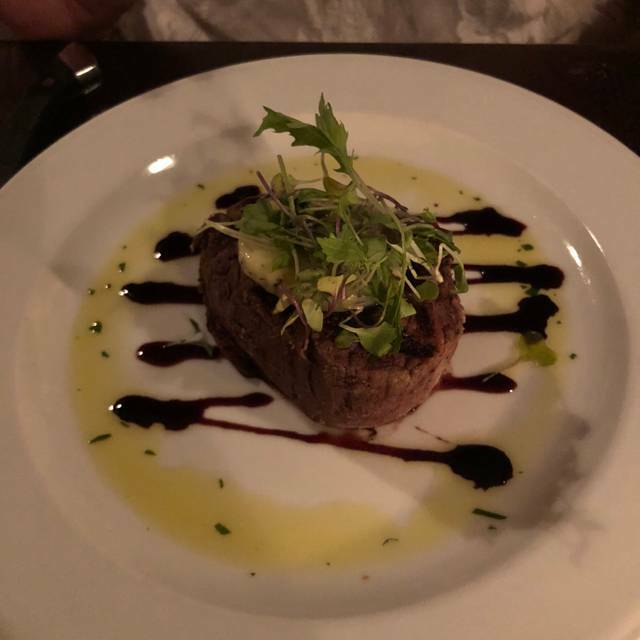 I had the sirloin and it was a thin cut that was cooked well past the medium rare I ordered. The quality of the beef was only ok. I dunno, Bogies Place has a certain charm, but they need to focus on the steaks more if they want me to keep coming back. The food and drinks were great! The preparation of the Pour Yorick smoked old-fashioned was exciting! Absolutely wonderful hidden gem in Boston. This was by far my favourite part of my vacation. 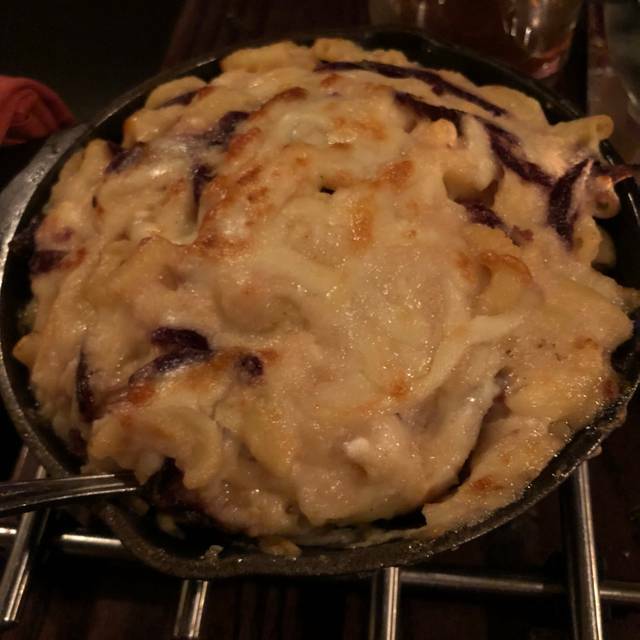 The food was incredible and the service was even better! Really made you feel special and part of something exclusive in the little restaurant hidden in the back of the bar. The steak was possibly one of the best steaks I've ever eaten. AND THE COCKTAILS! Bogie's Place is a great little spot, small intimate setting. The food was great, I had the filet cooked just as I ordered. Manny was an outstanding host and server. We were very pleased with the whole experience. I've been here twice and it is worth every penny. The food is fantastic and the ambience is killer. Great date place. Can't stop gushing about this meal. Such a cool dining experience. The food was great. The cocktails were finished table side. Manny did such a great job making us feel welcome. I've never felt as a customer that I was so appreciated by the staff. Saving up for my next night out to Bogie's Place. Great food and service! Would definitely go back! Our experience at Bogie's Place was exceptional. The cocktails were extremely involved, delicious, and reasonably priced. 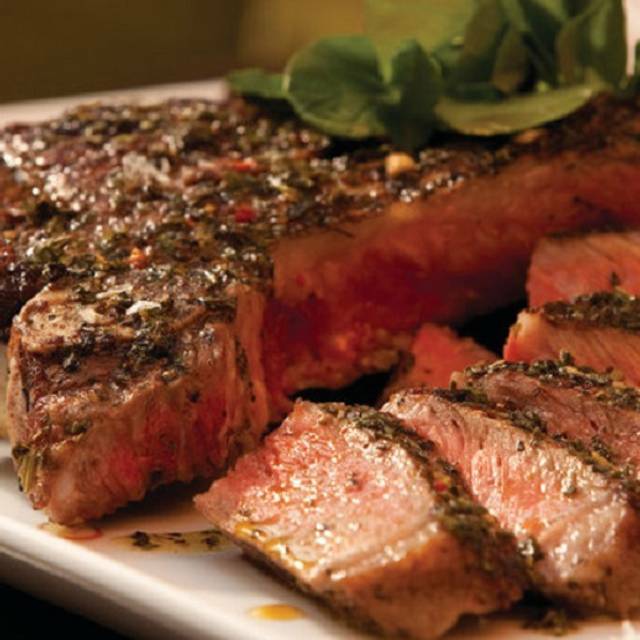 The steaks were cooked perfectly, and the appetizers and sides were all delicious. The highlight was the service - Manny took great care of us, sharing the inspiration behind the craft cocktails, menu recommendations, and amusing anecdotes about the menu. Definitely a can't-miss spot. Outstanding from start to finish! Manny was masterful! Only a partial curtain separates the small restaurant space from JM Curley, the bar next door, which blasts loud music. The restaurant also plays its own music on a boom box behind the bar, so unfortunately you’re stuck listening to both. Wedge salad, foie gras and brussel sprouts were very good. Porterhouse was average. If you are hip, young, know the owner, or have an early reservation you will be fine. We are a 60 year old, beautifully dressed couple celebrating our anniversary, which we mentioned in the reservation. No mention was made of it while we were there, and a corner cozier and roomier table was available during our visit yet we were given a center deuce. The waiter was working the whole room of 5 tables, and it was obvious extra attention was paid to the owner or manager’s friends or past customers. The food was good, but the truffle frites were not as warm as they should have been and the truffle oil was sprinkled over the top, not tossed with the frites, as there was no truffle flavor below the top layer in the paper cone. The tomahawk steak was delicious as were the sautéed mushrooms. I had a craft cocktail before dinner, and my husband drank Prosecco throughout the meal while I drank wine by the glass. So I was surprised when no offer of an after dinner drink was forthcoming, or an offer of dessert which we’d been told about at the beginning of our dinner. The check was presented with an offer to take our time, but I felt they just wanted to turn the table. The waiter was very nice and engaging but not as attentive as he could have been, he took our drink order at the same time as our food order, so I felt there was no chance of a lingering celebratory meal. So if you fit the young and hip profile and have the finances to support a $200 meal for 2 then go for it, especially if you’re friends with the owner. What an amazing hidden gem in Boston! My boyfriend and I loved the amazing meal, the unbelievably amazing drinks and the great bartender. Looking for a great spot for a special occasion? Go to Bogie’s! The food was great and the service was even better! We arrived on time. Drinks were great, food was nice, they were slow to take our order. But the problem was how we were asked to leave at 7.55pm because they had booked the table for another diner at 8pm. No consideration was given to our desire for dessert, how much was left in our glasses or how slow they were to bring dinner. Not happy and may not go back. Great atmosphere Manny was a wonderful server. This place is a hidden gem and I would definitely return. Our server Manny was possibly the greatest human I've ever met. My drink was crafted and served so beautifully I didn't want to ruin it by drinking it. Our guests were over the moon with the wine list, and the food was beyond incredible. Most intimate dining environment I have ever been in. Looked to hold 15 people at max! Must try the “specialty” cocktails for some added entertainment/ flair!! Anytime we visit Boston in the future we will be stopping to see Domingo! Great spot pre-theatre. An intimate spot seating 16, it felt like our own private restaurant, albeit with a noisy bar next door. Our server/Bartender, Manuel, made the experience special fro us. We went to Bogies before the Hamilton show. We communicated that we were attending the show and the time we needed to leave by. We even ordered from the prix fixe theater menu. Our food came so late that we didn’t even have time to finish the main course before running to the theater. We did not get the dessert we paid for in the prix fixe. Very disappointed and will not be going back. We LOVE Bogie’s. 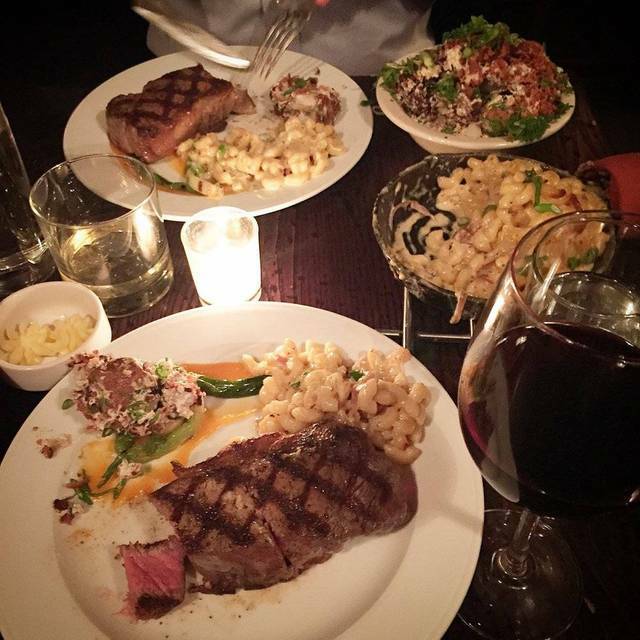 We also love JM Curley, and it’s fun to be in a different world inside the steakhouse. Domingo is an extraordinary host!!! The chef is awesome, and she graciously works with my food allergies which are a pain; I feel safe eating there. Our tomahawk steak this time was exceptional. The atmosphere is simultaneously chill, quirky, and comfy, and very unique. I would like to see the wine list revamped, with a few more good reds my the glass.